Heat oven to 400°F. Spray large nonstick cookie sheet with Crisco® Original No-Stick Cooking Spray. In small bowl, mix preserves, cream cheese, Sriracha sauce and garlic until well blended. Unroll dough on cookie sheet; press dough into 15x10-inch rectangle. Bake 8 minutes. 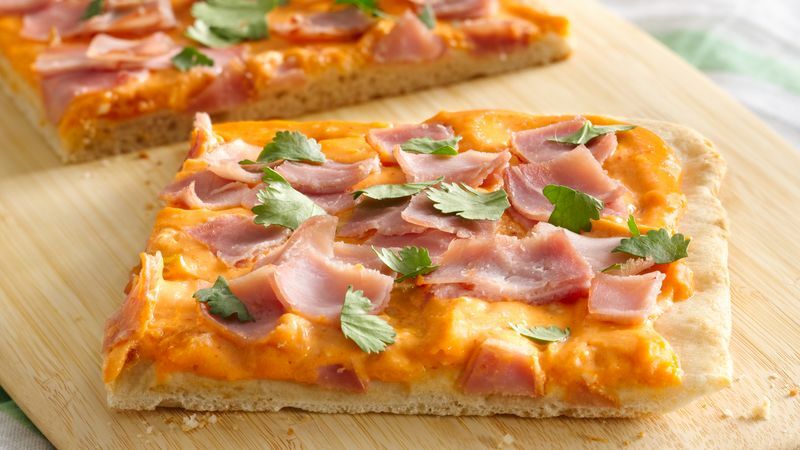 Spread cream cheese mixture over partially baked crust; top with ham. Bake 6 to 10 minutes longer or until crust is golden brown. Sprinkle with cilantro.